Zello is proud to announce our alliance with Trimble Construction Logistics, a major provider of fleet management solutions including real-time vehicle telematics and voice and text communications solutions for the construction materials industry. 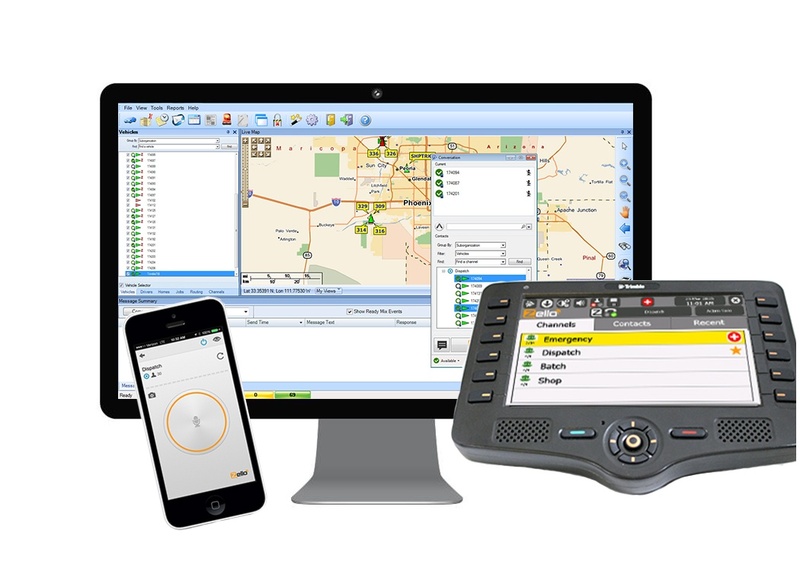 Trimble® (NASDAQ: TRMB) has today announced an updated version of their Trimble TrimFleet™ Suite 6.5 which includes the new TrimFleet Communicator with Zello. TrimFleet Communicator for TrimView and TrimFleet Mobile integrates Zello for Work functionality for improved communication, team collaboration, and productivity. TrimFleet Communicator with Zello resolves the many limitations of existing radio solutions for the industry, including poor connectivity, service, chatter, and safety. With the integration of Zello into TrimFleet's TrimView and TrimFleet Mobile products, drivers have will increased connectivity. Drivers will be able to connect directly to dispatchers or other contacts one-on-one, or participate in channels with other TrimFleet users. Zello also provides TrimFleet users with a centralized history which records and archives all audio, text, and images for up to 2 years. Additionally, with Zello's ability to run on any device and any network, TrimFleet users can now connect to company personnel other than drivers and dispatchers.